The Epic Guide to Local SEO was created to provide SMBs and digital marketers alike with everything they need to know to about local SEO. Complete the download form and you can experience the guide, too! Your download will be instantly available. Long gone are the days when a local business could just hang a sign on their storefront, create a website and wait for customers to show up to buy their products and services. Online competition is stiff! Each and every local business must have a comprehensive local SEO strategy in place. This 47-page guide closes with a section on “Setting Up Local Businesses for Success” and a slew of tools and resources to continue learning more about the world of local SEO, mobile and more. You can access the interactive version here. 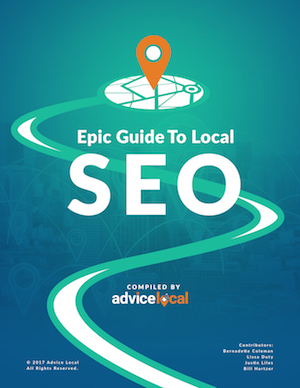 I just downloaded the Epic Guide to Local #SEO! Thanks @Advice_Local! Thank you to Bernadette Coleman, Lissa Duty, Bill Hartzer and Justin Liles for your contributions to this guide. 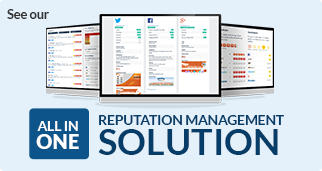 It’s Local Search Made Easy!